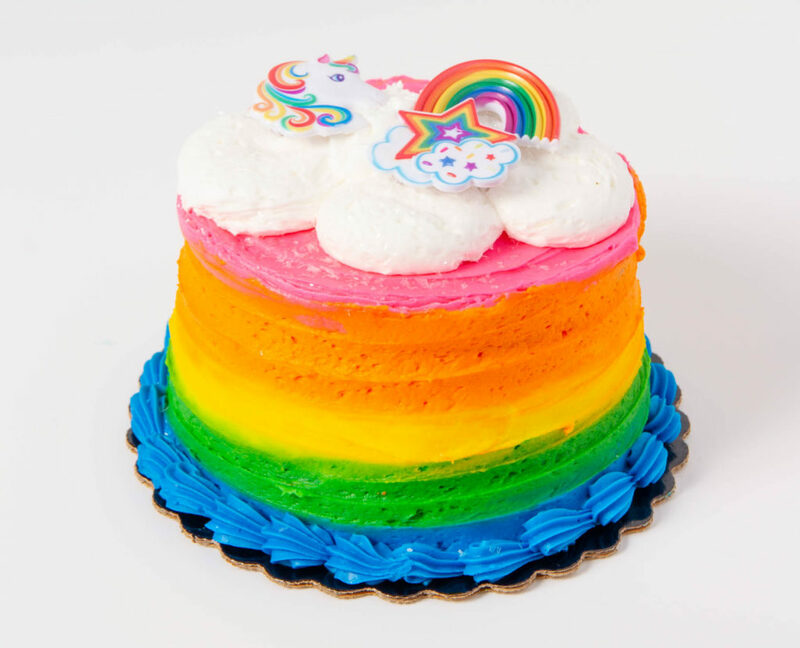 National Unicorn Day is coming up on April 9 and we want to make sure that you are prepared to celebrate so stop by our bakery and enjoy the following magical treats.Also, if you visit us on Tuesday, April 9 dressed as your best unicorn you will receive a free unicorn cookie. Our doughnut case offers a large variety of doughnuts. This week our variety has expanded to feature our fancy unicorn treats. 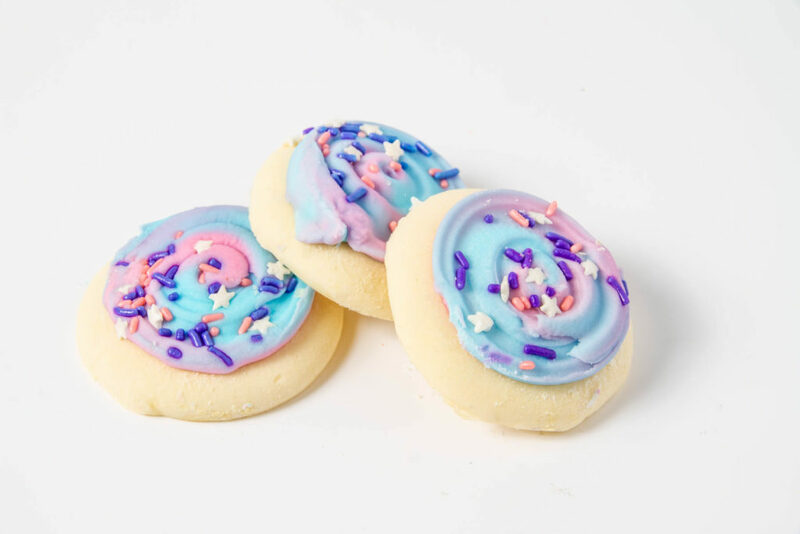 Sugar cookies with frosting and unicorn sprinkles are simple yet perfect for any unicorn party. 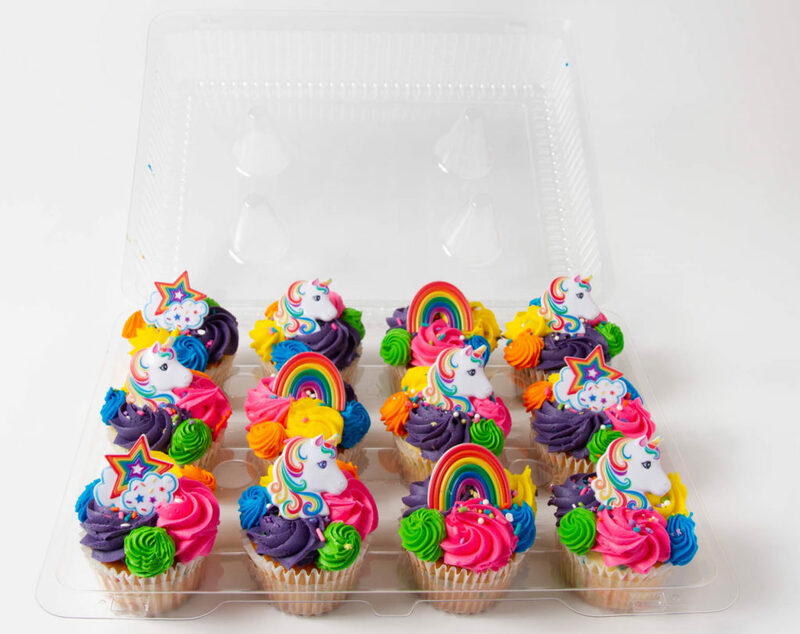 Unicorn cupcakes come in several varieties. 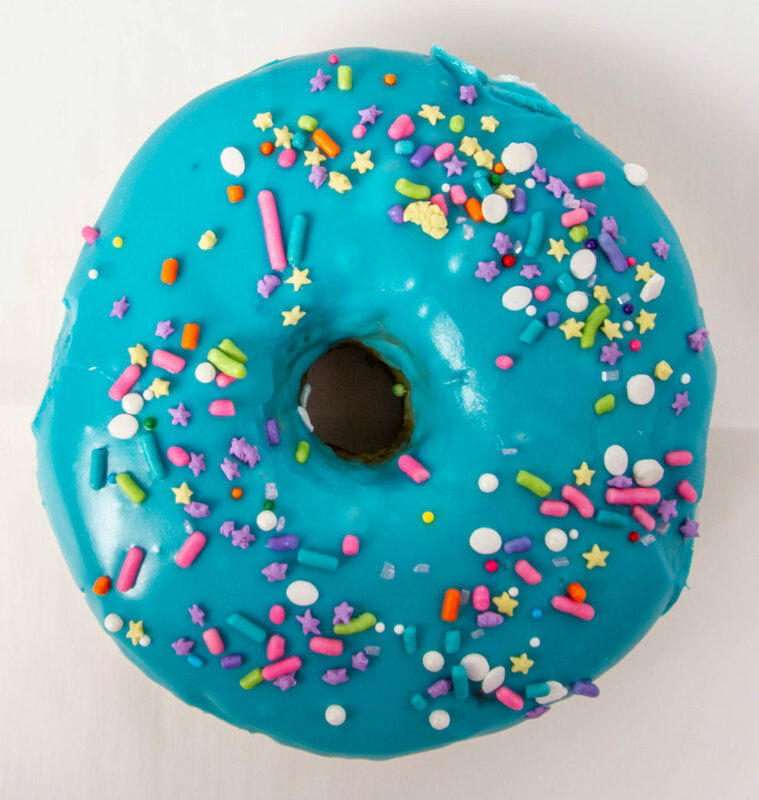 The sprinkle-studded cake and buttercream frosting will not disappoint. Many come with a fun magical ring that can be worn later to keep the fun alive. Rainbow mini cakes or cake squares feature a fluffy cake with our delicious buttercream frosting decorated to make anyone smile. 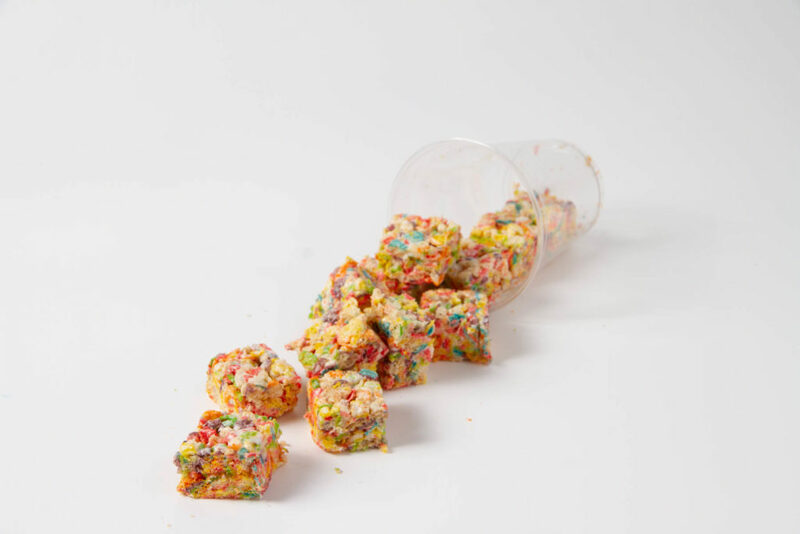 Our unicorn fruity bites cups are perfect for an on-the-run treat. Enjoy unicorn bites in all their marshmallow goodness. 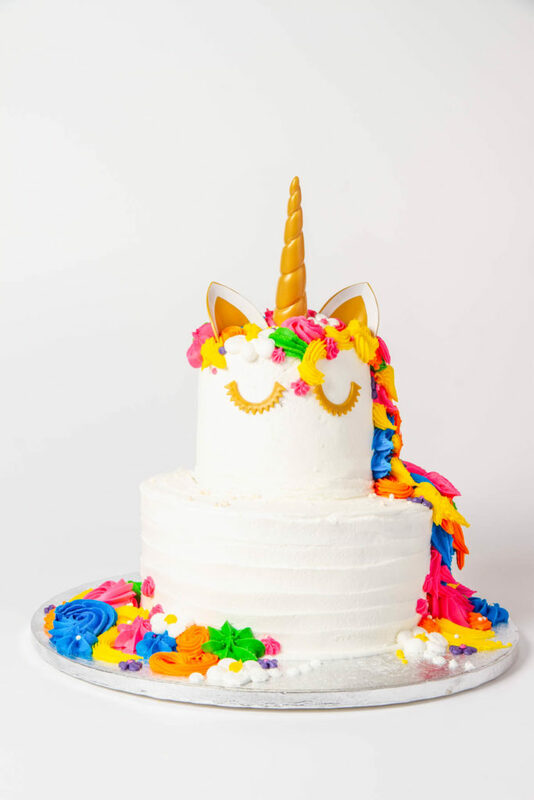 This beautiful Unicorn Cake features two-tiers of delicious buttercream frosting and is available upon request. Please call our bakery to order your cake at least 24 ours before your festivities.